Popular legend has it that the Margherita Pizza was created in honour of Queen Margherita by Pizzeria Brandi chef, Raffaele Esposito and his wife in 1889 using colors of the Italian flag; red (tomato), white (mozzarella) and green (basil). However, true Italophiles will tell you that the recipe stretches back even further in history. 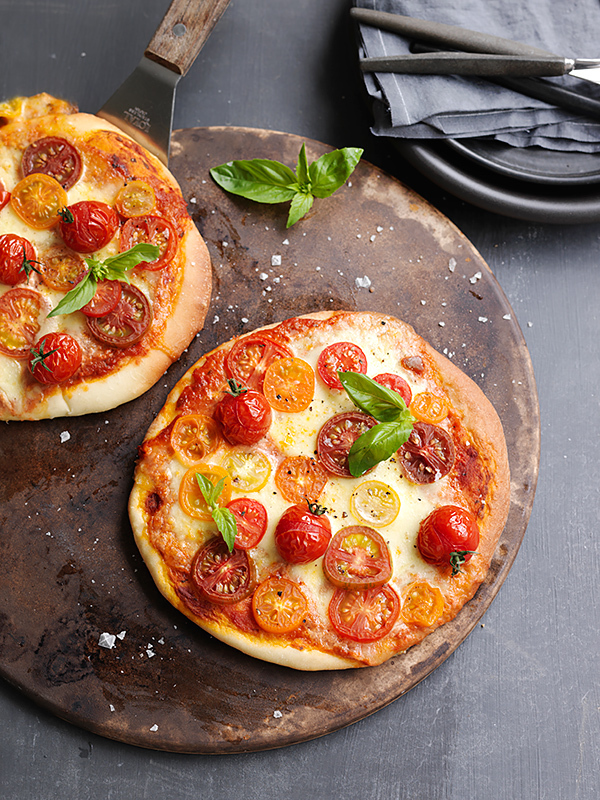 Whatever the case, this classic pizza is a must-have in your repertoire and it’s easy to create using a Panasonic bread maker and convection microwave oven. Combine dry dough ingredients in bread maker, set to Menu 22 for 45 min. Knead dough on a lightly floured surface until it becomes elastic and springs back when touched. Divide into 6 balls and place in warm area for 10 minutes. Shape each ball into a flat circle. Place the circles on a baking tray and prick with a fork. Leave to rise at room temperature for 15 minutes. Brush each circle with tomato paste. Sprinkle with mozzarella cheese and arrange tomatoes evenly. Bake in NN-CS894 oven on the Convection setting for 15-20 minutes. Serve with a garnish of fresh basil.